As expected, the PF has tricked their MMD colleagues, the entire nation and whoever wants to be the running mate to President Edgar Lungu by introducing a late night amendment to the constitution bill which has now given powers to the president to dismiss the vice-president. 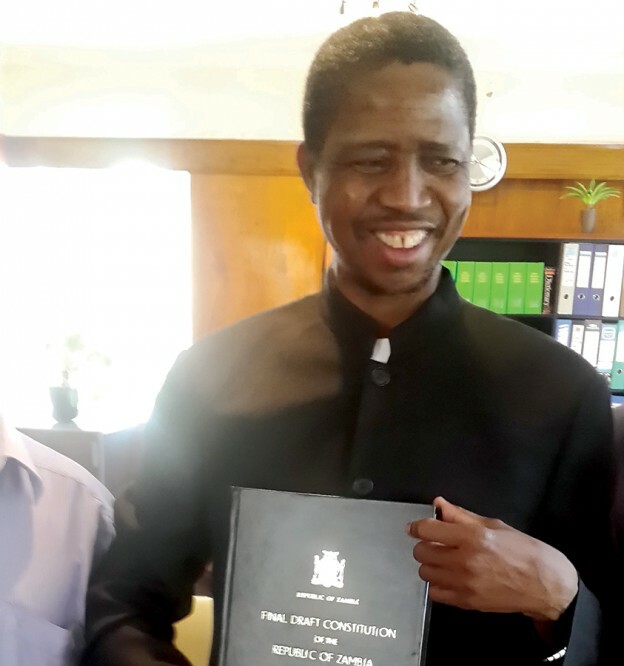 Last week Justice minister Dr Ngosa Simbyakula failed to table the constitution bills in parliament. Now we know why. Ideally and in civilised societies, the running mate clause in constitutions provides for security of tenure in the office of the Vice-President and this is how it is even in the current Zambian draft constitution amendment bill. The main purpose of the running mate is to make sure that the president cannot fire the vice-president as they are elected together. It is supposed to be a check on the powers of the president. In short, the people are electing the president and a stand-by president in case of a vacancy in the office of president. He or she becomes an automatic vice-president until the next elections. But now President Lungu has struck a deal with Lunte MP Felix Mutati to be his running mate and possible successor as republican president in case anything happens to Lungu or in 2021, after dumping Inonge Wina who is no longer useful for him. But the whole move is just to trick Mutati and the MMD team as the PF on Friday night introduced an amendment giving powers to the president to dismiss the vice-president and replace him/her with a preferred person. There are several other amendments but the most notable in the game of power is in Clause 8, in Article 111, on page 44 by insertion of the following new clause: “The President may remove the Vice President from office for insubordination, incompetence or failure or neglect to perform the functions of office subject to the approval of the National Assembly”. This clause defeats the purpose of running mate clause as the president will just be as vulnerable as the current vice-president who can be dismissed any how. These amendments were not circulated in Parliament on Friday morning as is the usual practice, but members of Parliament confirmed to Zambian Watchdog that they were circulated to MP’s on Saturday (yesterday) morning at the Parliament Motel, a move which is unprecedented. But staunch PF members furious with Mutati and Rupiah Banda machinations revolted and hence the above amendment that will now allow Lungu to choose another person as vice-president should he win next elections. But the clause has also caused another possible constitutional crisis in the sense that it does not stipulate the timeframe in which the president must appoint another vice-president after dismissing his earlier running mate. This means in the event the president dismisses the vice-president and immediately he/she (the president) collapses and drops dead, there will be a vacancy in both the office of the president and that of the vice-president. The running mate also does not contest the parliament seat, which means once he/she is dismissed, they will lose everything and just thrown out in the streets as they do not have a constituency. But like other previous constitutions, who cares about such flaws as long as it temporarily fixes the current situation of holding on to power without regard for the future. Planning to use the same tactic as the late Michael Sata, who had a minority in parliament, is to appoint members from opposition to gain a majority if needs be, then invoke at an appropriate time the departure of Mutati who will always be seen as an outsider, but useful for the chances of PF in the 2016 elections. This is why the Grand Coalition is demanding a referendum to adopt the constitution not through those corrupt individuals in parliament.